﻿ Jordani B & B, Windhoek | FROM $44 - SAVE ON AGODA! "Dinner was great and so was the chef." Have a question for Jordani B & B? "Breakfast was very good with a good range of fresh items and..."
Built in 2000, Jordani B & B is a distinct addition to Windhoek and a smart choice for travelers. The hotel lies 4.0 Km from the city center and provides accessibility to important town facilities. For those of you who want to venture out, Independence Stadium, Maerua Mall, Eros Airport are just some of the attractions available to visitors. 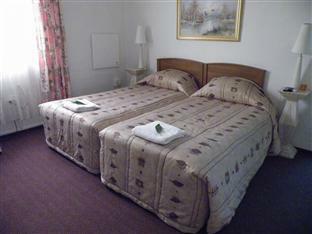 Jordani B & B offers impeccable service and all the essential amenities to invigorate travelers. Free Wi-Fi in all rooms, Wi-Fi in public areas, car park, airport transfer, family room are just a few of the facilities that set Jordani B & B apart from other hotels in the city. Hotel accommodations have been carefully appointed to the highest degree of comfort and convenience. In some of the rooms, guests can find internet access – wireless (complimentary), non smoking rooms, air conditioning, heating, desk. 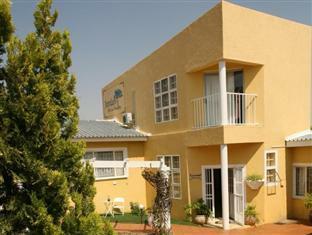 The hotel offers many unique recreational opportunities such as golf course (within 3 km), outdoor pool, garden. With an ideal location and facilities to match, Jordani B & B hits the spot in many ways. "It was a short overnight and comfortable stay." A one night stay after arriving late into Windhoek. After a little confusion about my booking the manager was extremely helpful and accommodating. Unfortunately the B&B had suffered a lighting strike that knocked out WiFi but otherwise the room was comfortable and very clean. For a longer stay there is a very nice garden area and pool. Breakfast was very good with a good range of fresh items and prepared choices. I was there for only one night and everything was easy. I could easily tell that everyone there had a great interested in seeing the guests happy. Dinner was great and so was the chef. Owner/manager knows about hospitality. Small details count, e.g. toothpicks on breakfast table, attentive service at breakfast, towels at poolside, etc. etc. #spacious rooms#lovely bathroom and the pool was very tempting on departure. It was a short overnight and comfortable stay. I was given complete privacy, the breakfast was wonderful (the have dining Mon.-Thurs. evenings as well) and for the most part the staff were accommodating and always very hospitable! They were understanding for the most part and many of the amenities were wonderful for a first-time visitor to the country. Their security was impeccable, and though the location was not city-center they made sure I had access to a grocer, two dining locations, the petrol station and a nearby Maerua Mall through a friendly taxi service they have on call. Le personnel est très sympathique et arrangeant. La chambre était très spacieuse et le coin piscine très agréable. Sejour sans probleme dans cet hotel situe dans le quartier calme d'Olympia, non loin de restaurants tres corrects. Acces facile et rapide au centre ville (10mn en voiture). sehr netter Empfang und sehr großzügige Zimmer mit Terrassenzugang. Unser 3wöchiger Afrikatrip wurde mit einem Aufenthalt im B&B-Jordani gestartet. Wir wurden freundlich und hilfsbereit empfangen. Unser Zimmer, welches riesig war, deutete auf einen guten Zustand hin, war sehr sauber und ruhig. Der, via B&B organisierte Taxichauffeur für das Nachtessen war pünktlich und sehr zuverlässig. Das Frühstück war ausgiebig und köstlich. Die Lage des B&B-Jordani war für unseren Zweck (nahe bei der Fahrzeugmietfirma, nahe bei Einkaufscentren und einfach zu erreichen) perfekt. Wir würden sofort wieder das B&B-Jordani wählen und werden es auch weiterempfehlen. Das Zimmer, aufmerksames Personal , tolles Frühstück ! Sehr großzügig Zimmer ! Hat an nichts gefehlt! Weiterzuempfehlen ! Super nett, empfehlenswert! Daumen hoch ! Preis Leistung Super!